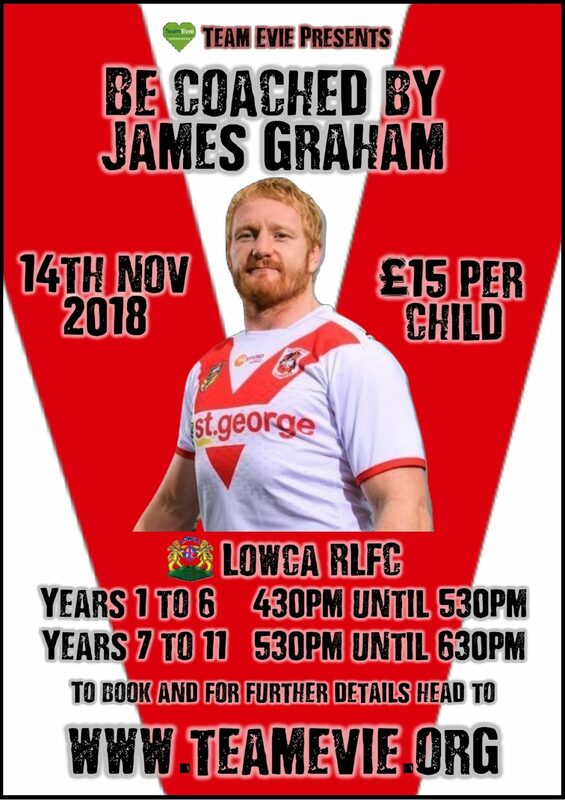 We are incredibly proud to host this event, giving the opportunity for your child to be coached by ex-Saint Helens, ex- Canterbury Bulldogs, current St. George Illawarra, most capped England International and TeamEvie patron James Graham!! A fantastic opportunity for children to meet and learn from a true world sports star! The event is split into two sessions based on age group and will take place on the pitches at Lowca RLFC on the 14th November! All the children will spend time being coached by James and also given the opportunity to get his autograph and a photo with him if they would like to. 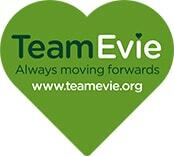 A place on the coaching sessions costs £15 and every child taking part will receive a goodie bag to take home with them! There are limited spaces available for this event, which promises to be one to remember, and we expect them to sell out very quickly! Click on the links below to book your child’s place now! Ages 6-11 (4:30 - 5:30pm) Book Now £15 each. 28 available. Ages 12-16 (5:30 - 6:30pm) Book Now £15 each. 35 available.